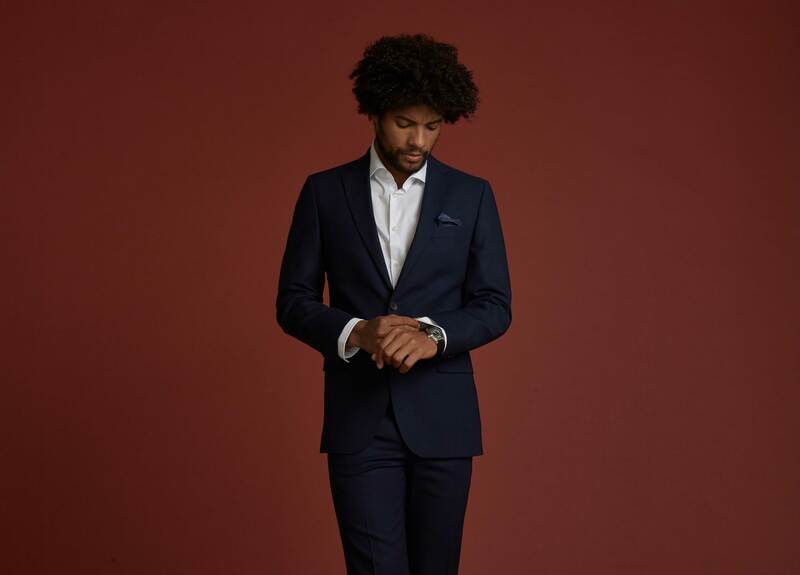 LONDON: 15 January 2019: Digital Brands Group (“DBG” or “the Group”), a curated group of digital-first lifestyle brands, is excited to announce that it has launched a luxury performance suiting and tailored clothing brand, ACE Studios. ACE is the second digital native brand to join Digital Brands Group. The launch comes as part of the Group’s ambitious growth plans to develop or acquire one to two strong digital first lifestyle brands, per year. ACE Studios is a luxury menswear brand that believes in performance, fit and quality, offered at an exceptional value. The brand works with centuries old Italian mills and European factories to produce premium suits that are grounded in Italian craftsmanship, with a focus on innovation and performance-forward luxury fabrics. For its first product launch, the “Luxury Performance” suit line, ACE partnered with the renowned Italian mill, Guabello. Guabello has developed a proprietary fabric named “Impact Zero” that is both sustainable and performance driven while maintaining a soft luxurious hand feel. The ‘Impact Zero’ suiting fabric requires only one-third of the water normally used to create traditional wool fabrics and removes harsh chemicals from the process altogether. The fabric also has several performance features, including four-way stretch for ease of movement and is water-repellent, anti-wrinkle, odour-free, as well as thermoregulated. The suits will be available in two fits (slim and tailored) with a third fit (athletic) to be added later. ACE believes fit is personal and therefore allow customers to choose both his jacket size and trouser size. This is very rare in the suiting industry, as most suiting brands require you to purchase the trouser size that comes with the jacket. Hil Davis, CEO of Digital Brands Group, commented: “We’re thrilled to launch ACE Studios, our second brand in the DBG portfolio. ACE Studios is focused on offering customers luxurious, performance-forward fabrics, fit and quality at an exceptional value. We believe no menswear brand will be able to touch our product quality and price….Period! Digital Brands Group’s strategy is to offer digital-first native brands the opportunity to leverage DBG’s shared operational, infrastructure and data resources to drive down fixed costs allowing brands to re-invest in marketing. Digital Brands Group model reduces fixed costs, fuels innovation, strengthens the customer experience, and offers lower pricing for the end consumer, without compromising on quality. ACE Studios launches on 15 January 2019 and during the next few months will add a collection of performance tees, luxury dress shirts, a luxury performance blazer, and luxury five pocket and chinos. The site is available to UK customers and prices range from $80 to $265.